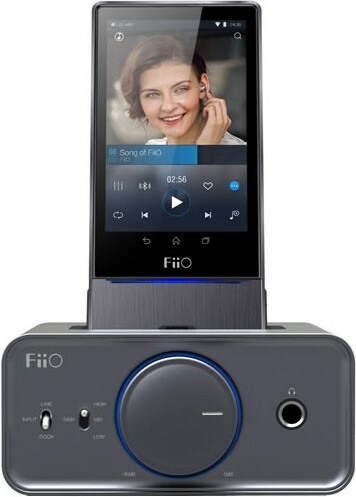 The FiiO K5 is a dock, specifically made for only the FiiO X1, X3ii, X5ii and X7 as well as the E17K, allows for further amplification and charging of the unit. Earn 95 loyalty points when you order this item. FiiO K5 is designed specifically for the FiiO X1, X3ii, X5ii, X7 and the E17K models. The 11-pin micro USB port facilitates docking expansion functions such as charging and amplifications. 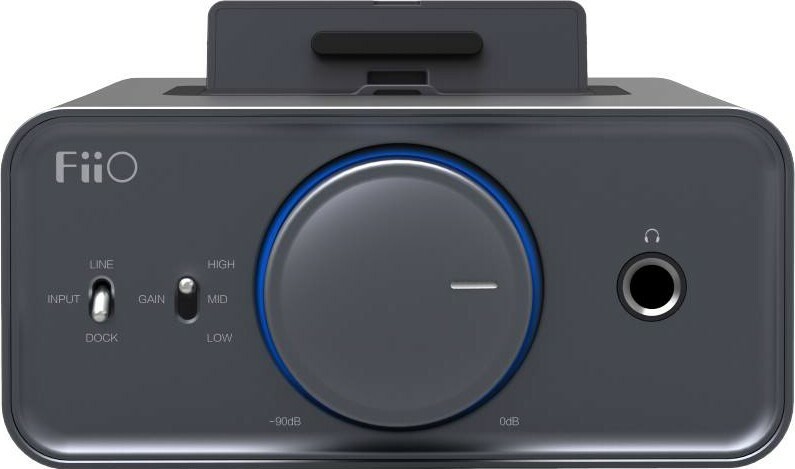 Further amplification of the X1, X3ii, X5ii, X7 and E17K’s signal is offered by the dock when the player is directly connected to the USB source via the USB IN port. It received the decoded line signal through the dock for amplification. A USB DAC driver installation for X3ii/X5ii/X7/E17K may be required. Compared to the E9/E09K the K5 is revolutionary in exterior design and craftsmanship featuring a brushed aluminum alloy sleek design. It has lower tolerances for all joints and seams and a higher quality sanded finish. 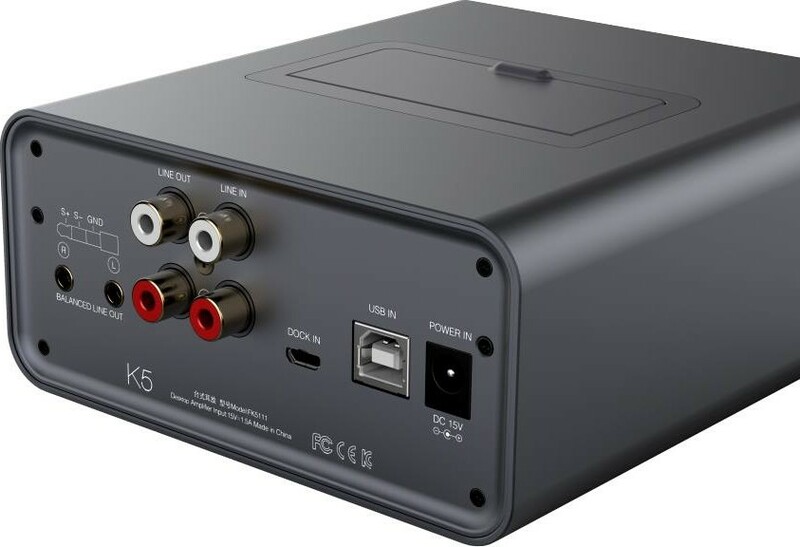 Besides regular RCA line output, the K5 also possesses balanced line output functionality when docked to the X5ii or X7. 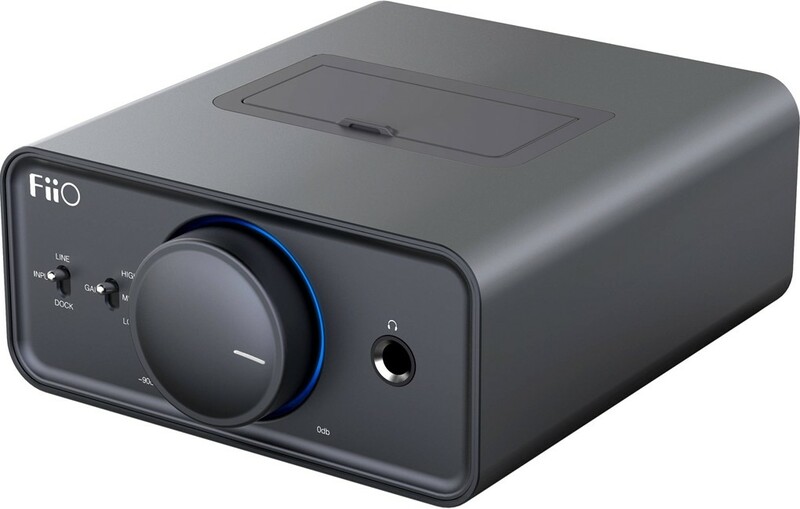 It can also be connected to other professional amplifier components for even better sound. 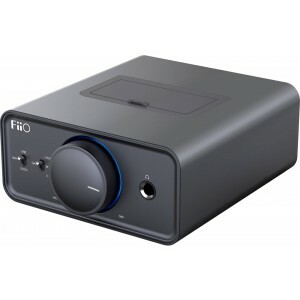 The FiiO K5, as well as being a dock will allow for standard line inputs to be used for other source components. When a player is docked on the K5 it will also synchronise the on/off function, allowing you to turn both units off at once.